Like many farmworker advocates, Melinda Wiggins can rattle off a long list of injustices faced by the people who harvest America’s food — stagnant wages, unsafe working conditions, housing often unfit for human habitation, and one she finds particularly unconscionable: Many farmworkers aren’t allowed visitors in the camps where they live. Two decades of advocacy have not weakened Melinda’s incredulity, which fuels her work as Executive Director of Student Action with Farmworkers, a non-profit that sends college interns into migrant farmworker camps for a summer of healthcare, legal, and education outreach. Melinda was raised on her grandparents cotton farm near Phillipstown, Mississippi. Surrounded as a kid by farms and farming, it was only when she left that rural and isolated place that she saw a distressing side of agriculture. In 1993 Melinda departed the Mississippi delta for divinity school at Duke University. There she applied for a stint with the newly formed Student Action with Farmworkers, a chance encounter that opened her eyes to the systemic injustice suffered by farmworkers. Realizing her true calling, Melinda gave up the ministry for a permanent job with SAF. SAF is unique among organizations that help farmworkers. There is no permanent team of outreach workers. Instead, every summer they hand-pick twenty or so college students from schools across the United States. After a week of training they provide much needed services for ten weeks, then disperse for careers as varied as you can imagine. By rebuilding their team each summer, SAF provides to the world a perennial crop of witnesses to the plight of farmworkers. SAF has sent more than 700 college students into farmworker communities since its founding in 1992. That’s when it emerged from Duke University’s Center for Documentary Studies, which had been incubating the concept behind SAF since the 1970s, and incorporated as an independent non-profit. Safistas do more than provide services. 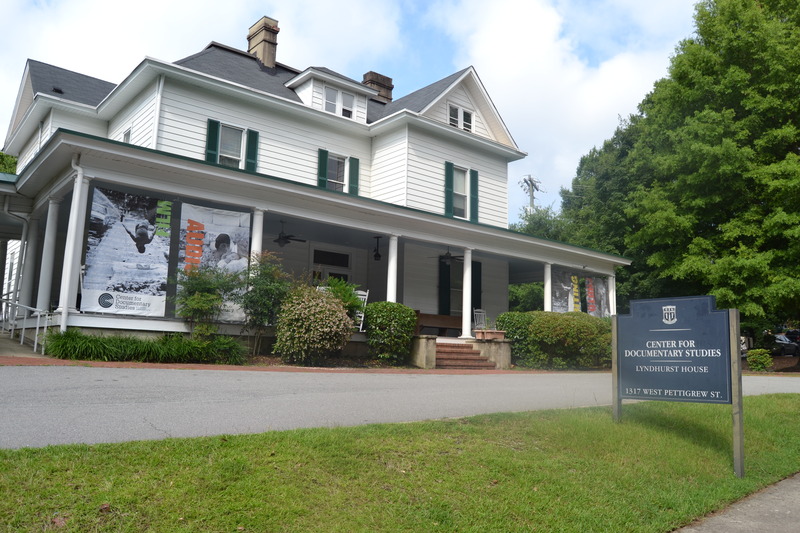 Most produce documentaries about their experience, a nod to their origin in the Center for Documentary Studies, which still houses SAF in a converted 19th century mansion on Duke’s campus. Some stage theatrical productions modeled after the social protest works of playwright Luis Valdez. They all can contribute to a Tumblr blog, allowing anyone to follow their work in the camps. When Melinda joined SAF, interns were mostly Duke students from privileged backgrounds. One grew up in a farmworking family. Now that ratio has nearly flipped, with a majority of Safistas having farmworking backgrounds. Many have worked the fields themselves, like Daniel Guzman who I wrote about here a few weeks back. Safistas from farmworker households often arrive with a sense of shame. They know what it’s like to miss school, to miss meals, and to be called out by other kids for working in the fields—harvesting potatoes is not likely to make a kid popular at school. But after ten weeks of sharing their stories with eager listeners, of indeed being honored, they can take away from SAF something far too few farmworkers are allowed: a sense of pride. 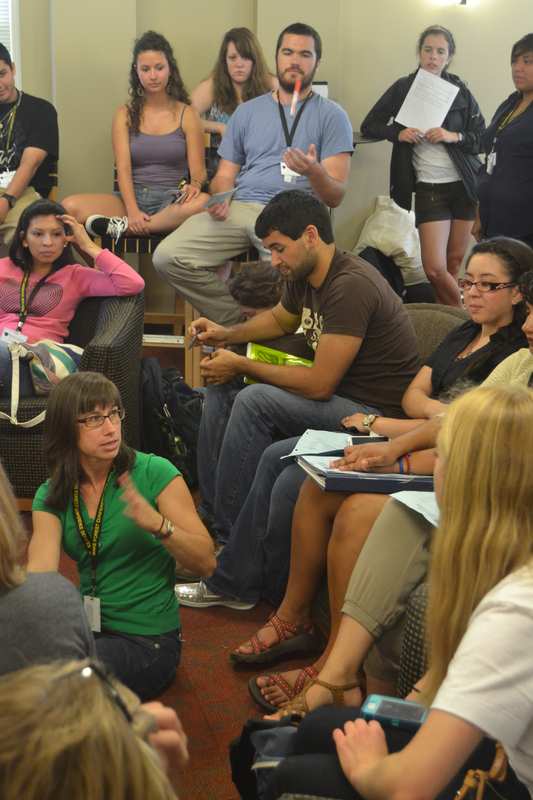 Melinda and the other SAF leaders do more than bombard the students with how bad things are for farmworkers. The shock and outrage is inevitable. But by discovering and commiserating and brainstorming as a team, they get a collective sense that they can do something about it. Melinda may have given up a career in ministry when she took a job with SAF, but I don’t think she strayed too far from whatever drew her to divinity school in the first place. She runs an organization dedicated to helping the poorest of the working poor, and to opening the eyes of young people at the cusps of their careers so they might spread the word wherever they go. That sounds plenty divine to me. P.S. Next Saturday I’ll join the 2014 Safistas as they celebrate the end of summer at a public event at the American Tobacco Campus in Durham. This should be a great event where we can watch the documentaries, enjoy great food, and meet SAF students and staff. Here’s a link to more information.